In a presentation at the Osteopathic Medical Conference & Exposition (OMED) 2015, researchers from Rowan University outlined their development of a blood test that could detect Alzheimer’s disease before symptoms begin to manifest. This would give physicians and patients alike the opportunity to take risk-reduction efforts at the earliest, most ideal stage of the disease. The head of the researchers is Dr. Robert Nagele, whose work focuses on detecting the presence of various diseases by using autoantibodies as a marker. An autoantibody is a special type of protein that targets the body’s own substances. In most cases, autoantibodies help dispose of various forms of cellular debris in the blood but certain conditions cause them to act elsewhere. Nagele’s test is based on how many elements that mark poor vascular health, like high blood pressure or a history of strokes, overlap with conditions associated with a likelihood of developing Alzheimer’s. Vascular difficulties can weaken the vessels in the blood-brain barrier and allow slight leakages of plasma that contain certain autoantibodies. These autoantibodies can bind to neurons and hasten the development of the beta amyloid plaques that are a signature sign of Alzheimer’s. This triggers a change in the body’s autoantibody profile that a blood test can detect. One of the challenges in treating Alzheimer’s is that the brain begins changing years before symptoms actually start appearing. If the Rowan team’s blood test proves clinically effective, it would be the first time patients and doctors could learn about these changes prior to symptom manifestation. This would enable lifestyle changes, additional treatments, or other measures that could be used to either avoid or delay the most serious parts of Alzheimer’s progression. 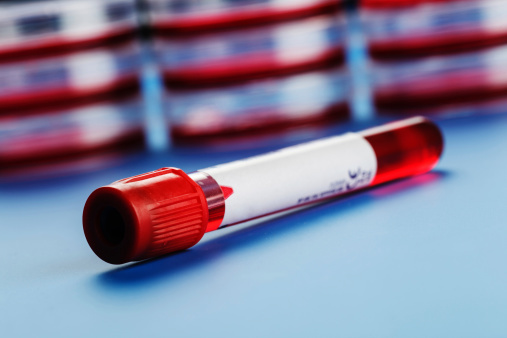 The autoantibody blood test has also shown promise in being able to detect other conditions such as Parkinson’s disease, multiple sclerosis, and breast cancer. The potential for diagnosing these conditions early will be assessed separately from its potential for Alzheimer’s detection. Alzheimer’s disease is a degenerative neurological disorder that affects some 5.3 million Americans at the present time. Nagele, R., “Alzheimer’s Disease and Parkinson Disease Research (ACONP),” lecture, OMED 15, Orange County Convention Center, Orlando, October 18, 2015.